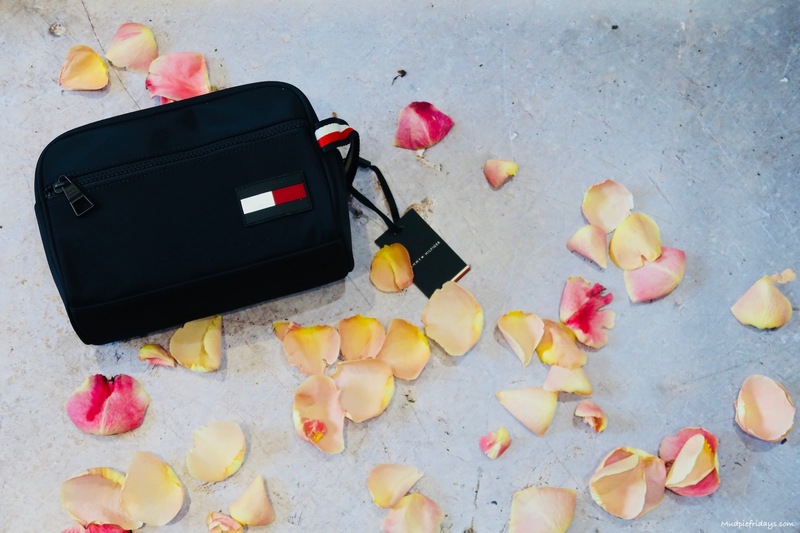 Valentines Gift Guide for Travel Lovers: I don’t know about you but I am super glad that January is over and done with. I don’t generally suffer from the Winter Blues but this year it seemed to really hit me. February means the beginning of Spring flowers and time spent with love ones. 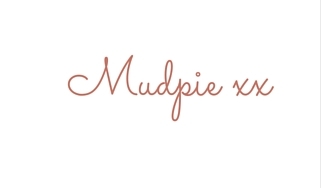 With Valentines day round the corner I have put this special little gift guide giveaway together. Hopefully it will put a smile on the face of someone you love and theres a chance to win the contents at the bottom of this post valued at £517. For me photos and travels go hand in hand. I am forever collecting memories in pictures. Yet many of them stay on the photo card or on my hard drive. I mean there really is only so many pictures you can have on the wall or on the mantle. But what about something different? And thats where Darlington Crystals Photo Laser Blocks come in. There are three different designs in two sizes available ranging in price from £45 to £95. 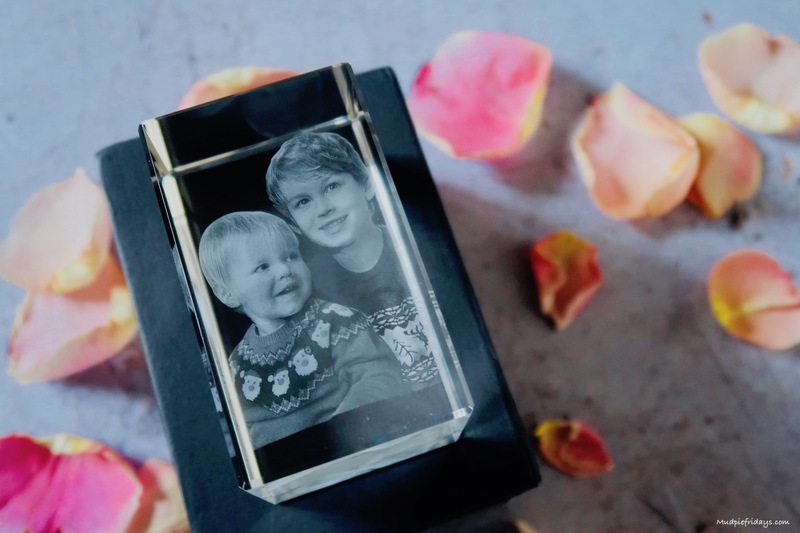 Working off of 2D photos Darlington Crystal can create three dimensional keepsakes which are truly beautiful. There is also the option to include engraving if you would like. I was very impressed with how simple the ordering process was. Delivering is super quick at three working days and when it arrived it came nicely packaged in its own gift box. I chose the large rectangle which measures 60mmx60mmx100mm and is ideal for pictures of one to five people. Hopping over for city breaks normally means and luggage only so I am always on the eye out for miniatures 100ml or under. Baylis & Harding Skin Spa Men’s Small Piece Set from Victoria Plum features 100ml bottles of hair & body wash and face wash, plus a 50ml bottle of aftershave balm. Complete with a refreshing amber and sandalwood aroma, it’s a little bit of luxury for anyone who is a seasoned traveller. Priced at £6.99. For the ladies they offer Baylis & Harding Jojoba Silk & Almond Oil Boxed Slipper Set priced at £24.99. The premium gift set contains a supersoft set of slippers, jojoba, silk and almond oil which helps rejuvenate skin, plus foot soak crystals to revitalise your feet. All presented in a decorative box. 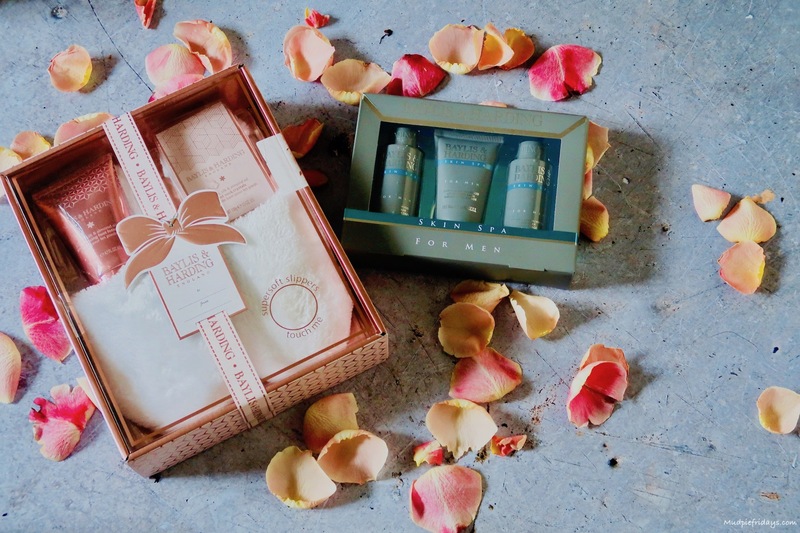 A luxurious treat for your feet, this gorgeous gift set is the perfect present for a loved one. This is perfect for me as I always find that beach holidays play havoc with my feet. Being a travel blogger I don’t leave home without my MacBook. Having something to transport it in is essential. 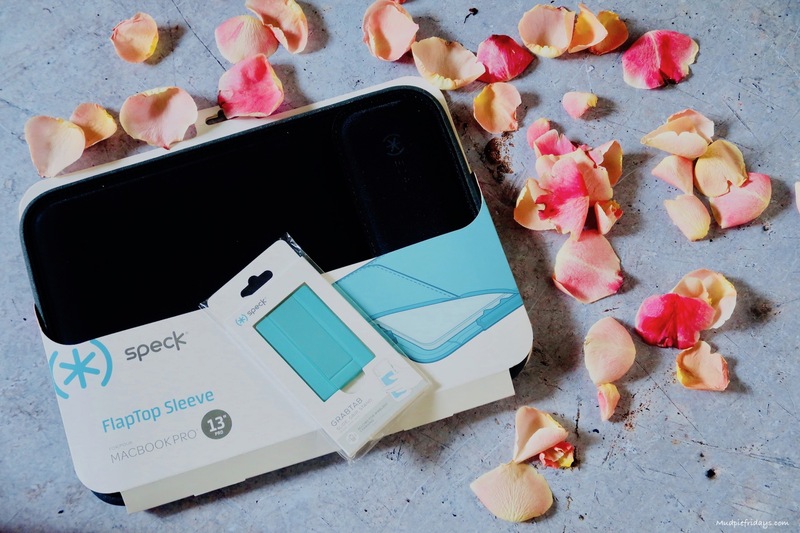 Speck’s flaptop sleeve comes with IMPACTIUM™ Foam Collision Barrier for shock absorption. The Intuitive closure uses a responsive flex zone that allows you to securely store and quickly access your device, while protecting it from everyday hazards. The slim design is perfect for travelling and the unisex design means it will make a great gift for any traveller. The Speck Protective MacBook Pro 13″ Sleeve is priced at £39.95. I also use my phone a lot when travelling usually to keep the boys entertained, Speck also offer an initiatively designed Grab Tab. Which is an accessory that you can stick on the back of your phone/case. Priced at a very reasonable £6.45, its universal as it working with most devices. It’s perfect for travelling and for those who are always on-the-go. With it, your phone doubles as a convenient stand for on-the-go entertainment. When you’re on the plane and watching a tv-show on your phone just put in on the tray table and the GrabTab transforms your phone into a stand. As well as being useful to hook your finger through when taking photos and selfies. I always like to take perfume away when I travel. Although I don’t actually wear it at home much. Sometimes I find when you are rushing to get out after a long day sightseeing its a great pick me up. SESKY Beauty has a range of three different fragrances to choose from. I opted for SESKY Entice Eau De Perfume which costs £25 for 30ml. Described as an exciting enticing, delicate sweet pink fresh floral, fragrance has taken vibrancy to a new level, bursting with a blend of succulent Mandarin, Apricot & Blackcurrant fruits that lead into a flirtatious blend of Caramel with bright floral notes of Jasmine, Rose, Orange Blossom before settling on a delicious dry down of Sandalwood, Amber & Vanilla. All encased in a unique precious bottle bejewelled with Swarovski® crystal. I am not a fan of selfie sticks but at the same time I want to make sure I capture pictures of Hubby and I on our adventures. 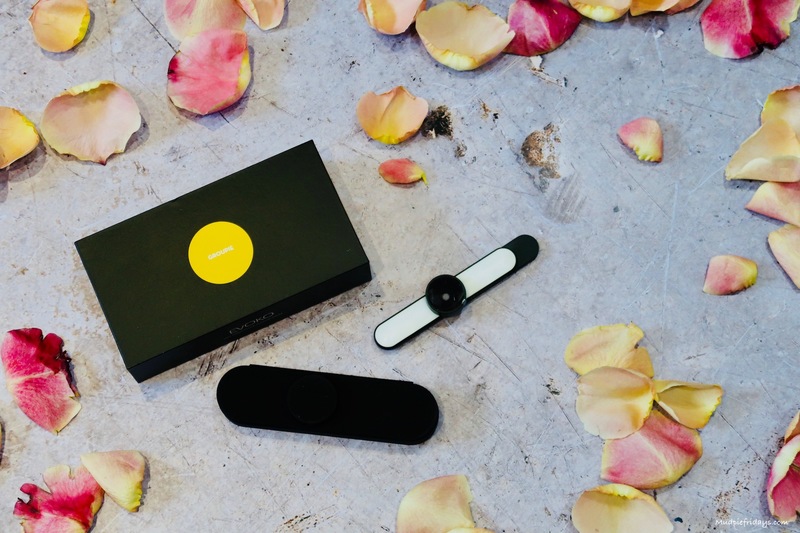 The solution is the Evoko Groupie a portable, wide-angle illumination lens, effortlessly adhering to any computer, laptop or smartphone the Groupie is a total replacement for the cumbersome Selfie-Stick. Simply put, it expands the field of vision to fit in everybody you want to be seen or that perfect view behind you. Designed with Swedish elegance, the Groupie weighs in at 35gms and with dimensions of 122 x 25.5 x 16.5 mms it is extremely portable and versatile. Not just for photography the Groupie is the go-to add-on for anyone who wants to keep in touch with friends and family back home using FaceTime. Knowing just how great the personalised books from The Book of Everyone are I was delighted to see that they now have a Romantic Edition.The easy personalisation platform means you don’t have to be a computer whiz to create an amazing book for someone special, stuffed full of curiosities, beautiful designs, inspiring quotes and fun facts. All you need to provide is some information on and anecdotes about who you’re creating the book for. 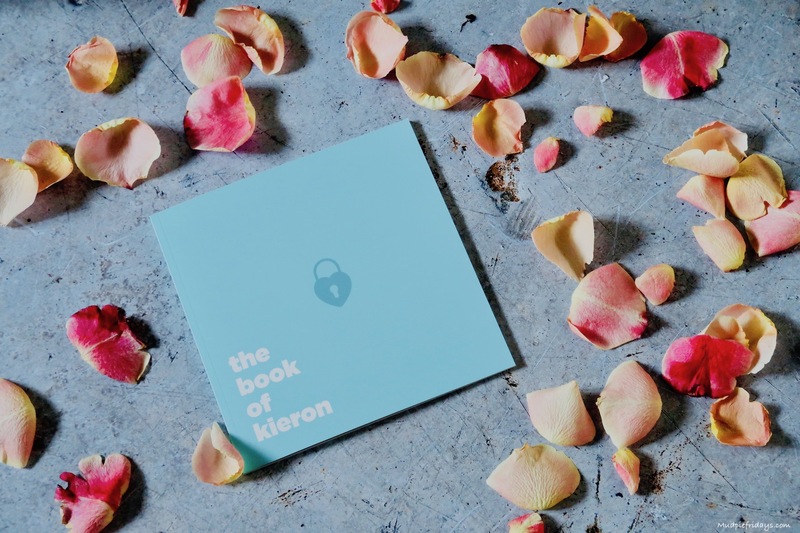 Due to the amount of personalisation which can be included in the book you can even make reference to your travel adventures. Once designed there are three different bindings which means that there is something for everyones budget. A soft paperback issue for £19.99, a laminated hard back cover version for £29.99 and a Deluxe option. Which is padded hard back book, that comes with a luxury presentation box. There is also the option to add gift wrap and a card for an additional cost. Beautifully illustrated with bright colours its sure to be a hit for your loved one. We recently travelled to Finland and I could have done with something to keep my feet toasty. 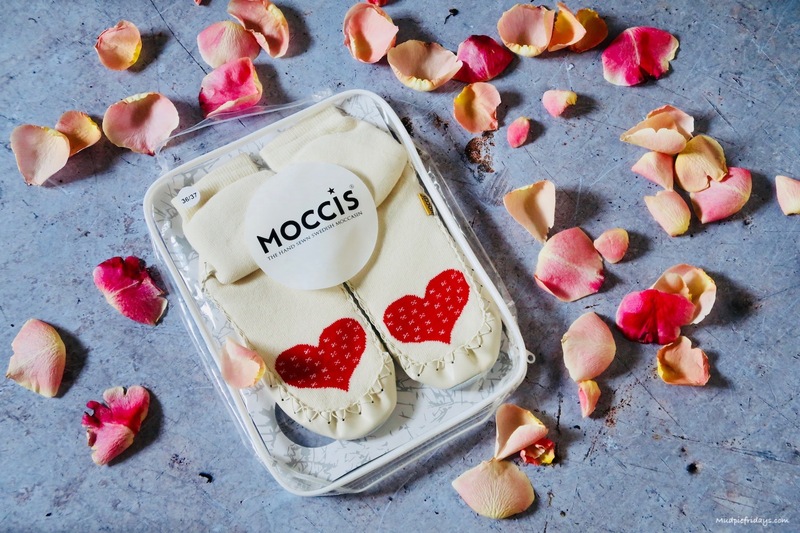 A pair of Moccis are a must for a Winter holiday or a camping/glamping experience in the UK. The unisex Moccis are made in Sweden of natural ecotex certified materials. The finishing touches are even made by hand. The leather moccasin sole is durable and flexible and skid proof. The sewed in double elastic at the ankle prevents the moccasin from falling off. Moccis are machine washable in 40 degrees and should be hang dried. Available in UK adults sizes 1 to 12 costing £37. For everyone who loves to travel you can’t beat a night away somewhere you have never been before. So why not spend a night in a beautiful countryside location with Buyagift, there are over 400 locations to choose from. From caravan breaks to country manors, spanning across the UK so you can find the perfect break for you and your loved one. You could enjoy the classic northern hospitality of West Yorkshire, visit spectacular Snowdonia, relish the sea views in Devon or spend a luxurious night in Somerset among many other options. 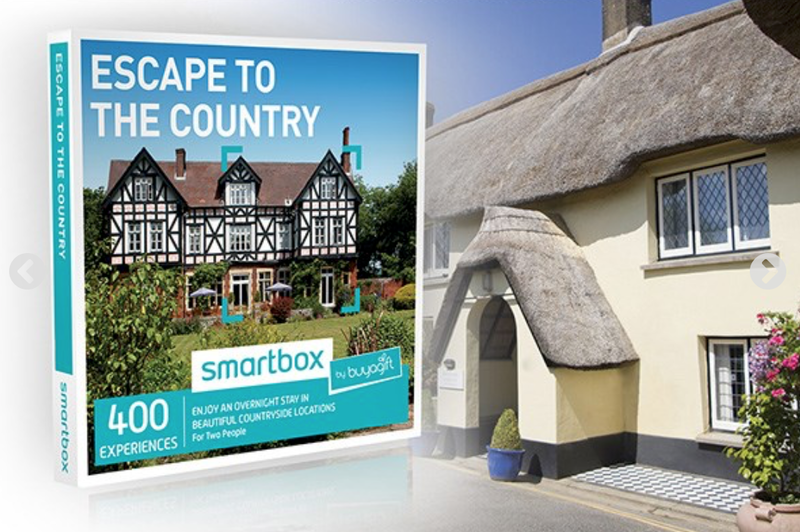 Escape to the Country Buyagift Smart Box Vouchers are valid for 24 hours and cost £89.99. While visiting your country retreat above there are few things more frustrating than a flat battery when out and about – how else can you book the Uber home or post all the Instagram selfies of the pair of you? 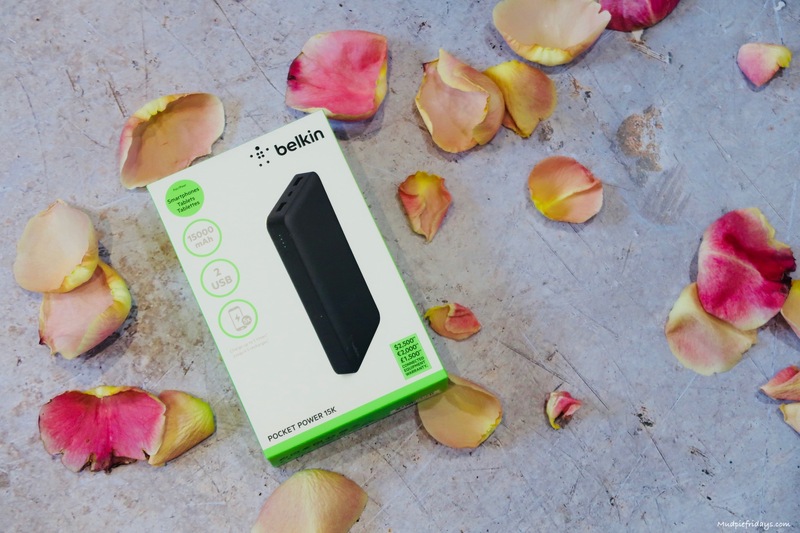 With two USB ports, the Belkin Pocket Power 10K Power Bank ensures that both of your devices are ready to go when you are. Slim and lightweight power bank (a.k.a. portable charger) that fits in your pocket or bag. 10,000 mAh recharges your smartphone to provide enough power for an additional 70 hours of video playback. Suitable for devices like smartwatches, fitness bands, headphones, speakers, action cameras, and Bluetooth-enabled devices. Available in black, silver and pink priced at £34.99. Part of travelling for me is writing about our experiences. Thats where the Premium Derwent Bullet Journal Set comes in. Designed specifically for bullet journaling it can be dairy and a must see, to do list for all your adventures. 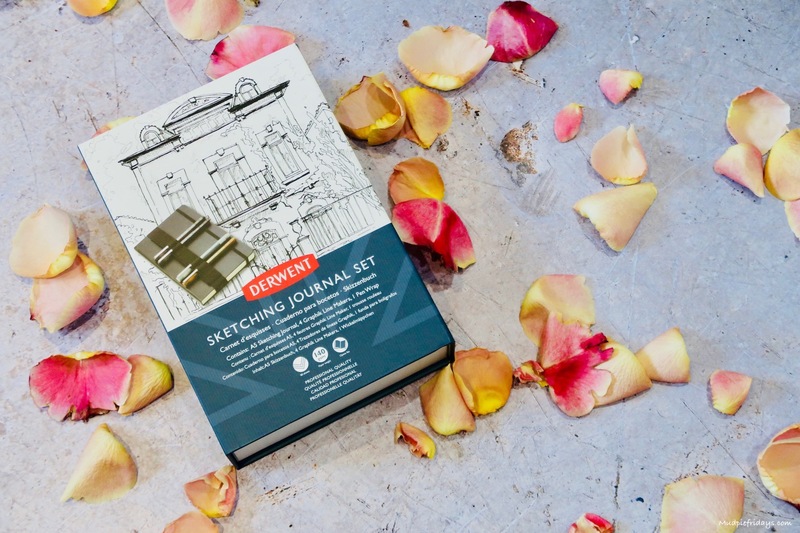 Complete with subtle dots on each page to help frame your lists, graphs and doodles, let your imagination run riot to spice up everyday planning and journalling. The four lightfast water-based Graphik Line Makers are the perfect companion for weaving intricate designs, and range in size from a super-fine 0.5 to a broad 0.8. The 120 A5 Bullet Journal is the perfect size for a handbag or planning while on the plane. Priced £29.99. 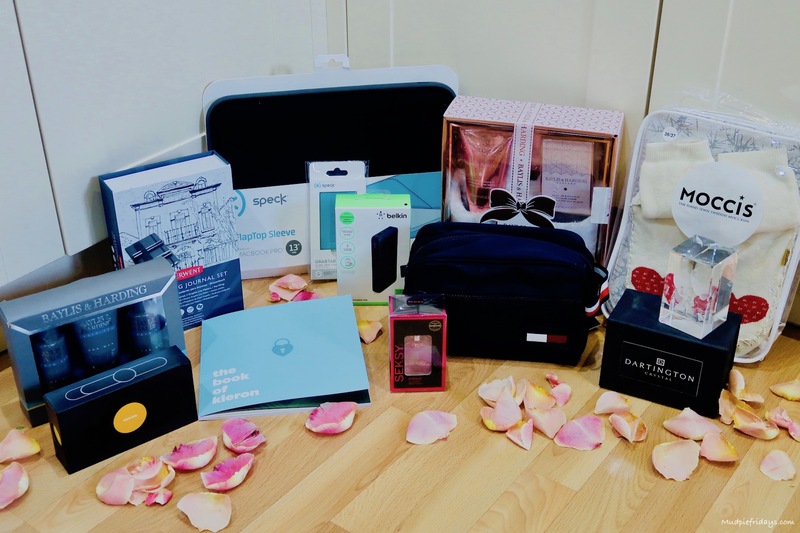 If you would like the opportunity to win the items included in this gift guide which are worth £517 then please enter via the gleam application below. For a full list please see the T&Cs below. Good luck! The winner will be drawn at random and will receive the items mentioned in the gift guide. What an amazing prize. Lovely to read about products you can quite easily miss. This will make someone very happy! This is an incredible prize bundle wow!! I would love to try the Seksy beauty perfume, Lovely. I am entering thank you. So many great ideas in this write up, would love to win this bundle. The sketching pad kit looks like it would keep me busy for a while. Some great ideas here! I like the sketching journal for my husband! The steching journal would keep me quiet for a while…. Thanks for a fantastic giveaway with so many wonderful gifts. Yes please 😍😍😍 what Fab prizes! Fantastic prize. Good Luck Everyone! Amazing bundle of prizes, thanks you! Fab selection of prizes, good luck everyone! Lovely prizes, thanks for the chance. What a brilliant giveaway! Fantastic selection of goodies. Thank you for a great giveaway. Who wouldn’t desire this wonderful prize! Greaty selection of prizes – the powerbank would be very handy. Great giveaway I would love to win this. Good luck everyone! The photo laser block is lovely, that’s something I’ve never seen before. Old selection of prizes for him and her. I’m not much for valentine’s day tbh, the romantic in me never really appeared! Love these little pressies though, makes me wish I were more of a romantic!! What an amazing treat this would be! A lovely bundle of prizes. I love different things to look at and deciding which one to use first. This is absolutely incredible! What an amazing bundle to win! I’m so glad winter is round the corner, I too have had the winter blues so bad this year, I can’t wait to get out and about when the weather gets better, it always gives me that push to get outdoors and visit places. The bundle you are giving away looks fantastic! Oh, my! What a lovely treat this bundle would be. Thank you for the giveaway. Amazing prizes! I would love to win and in the meantime will keep my fingers crossed! Lovely collection, thanks for the chance, you have a lovely life! this is a lovely giveaway! some great items in it! What a great bundle of prizes, I especially like the Moccis! What a wonderful mix of goodies . Thank you for offering this amazing giveaway; I would love to win it! Wow, amazing! Thanks for the chance. Fantastic bundle, something for everyone! Lots of gorgeous items here, lovely competition. There are some lovely gifts in this guide. Fabulous prize bundle and so interesting to read about these items! As always some lovely ideas, and fabulous prizes! Love is in the air and all around us! This prize would be great! What a great selection! And a wonderful giveaway, thanks for hosting it. Great prize, thanks. Love your gift guides by the way. All the prizes look amazing. The power bank would be really useful! Lovely prizes and the days are getting lighter, so more thins to look forward to. Great prize, a real box of delights! What a lovely bundle of great goodies! Fingers crossed. Wow what a great selection! My boyfriend would absolutely love all of these! I need a power bank the amount of time I spend on my phone. We really love travelling – this prize would be an absolute dream! This would be an amazing treat having had our first baby in January. Looks amazing. 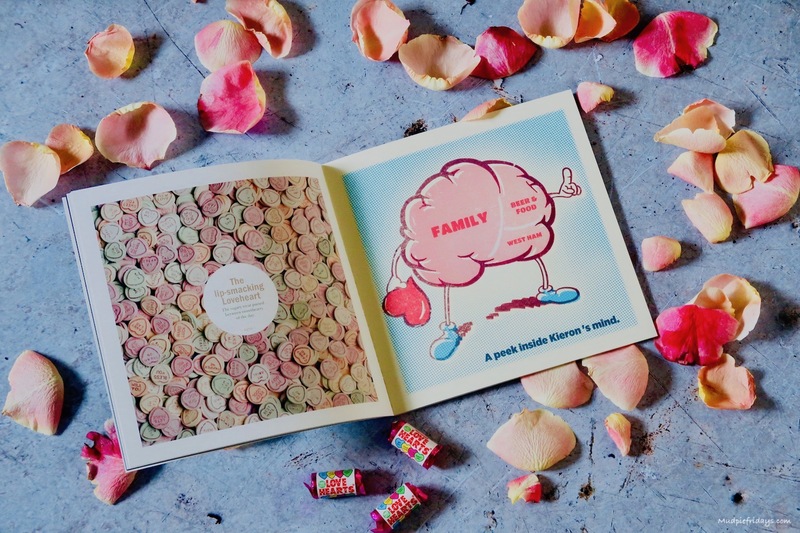 this is an amazing prize, i am taken with the sock wotsits – would love to win them! A wonderful travel essentials prize, it would be fabulous to win. Thanks for the chance. This looks awesome! We’re trying to travel much more this year, so this prize would be so useful. Thanks for the great giveaway! Oh yes please, love travel and this prize woul£ be great!